Barbara Fairchild (born November 12, 1950) is an American country and gospel singer, who is best known for her hit 1973 country song "The Teddy Bear Song." After the success of the song, she continued to have success on the country charts. Fairchild started her career at a young age singing country music. She cut her first single at 15 years old. In 1963, she moved to St. Louis, Missouri, and by 1965, she was a regular on a local TV show and recorded for a local label, Norman Records, but none of her singles released were much more than regional hits. In 1968, after high school graduation, she decided to follow her dream and moved to Nashville. She briefly signed with Kapp Records with no success. She also recorded briefly for MCA Records. After this, she met producer Billy Sherrill, who had discovered Tammy Wynette. He listened to Fairchild's songs and decided that she was ready for a major record deal and he signed her with Columbia Records in 1969. Her first single in 1969, "Love Is A Gentle Thing", was a minor hit as was her next single, "A Woman's Hand". In 1970, she scored her first Top 40 hit with "A Girl Who'll Satisfy Her Man". Between 1970 and 1972, Fairchild scored four more Top 40 hits, the biggest of these being "Love's Old Song" and "Thanks For The Mem'ries". 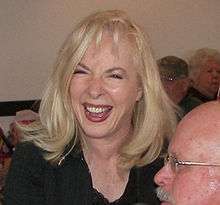 The success of "Teddy Bear Song"
1973 would turn out to be the breakthrough year for Fairchild as she released the biggest hit of her career with "Teddy Bear Song". It not only became a number 1 hit on the country charts but also reached the pop charts as well peaking at No. 32. It was also nominated for a Grammy that year. "Teddy Bear Song" spent 2 weeks at the No.1 spot and became Fairchild's signature song. She followed up "Teddy Bear Song" with another hit with "Kid Stuff" that year which reached number 2 on the country charts and made the [Billboard Hot 100 ] at No.95. In 1974, she scored another Top 10 with the song "Baby Doll". Between 1974 and 1977, she had several other major successes among these being "Standing In Your Line", "Little Girl Feelin'", "Mississippi" , "Cheatin' Is" and "Let Me Love You Once Before You Go". Increasingly, she turned her attention to Gospel music, where she has recorded both solo and with Connie Smith and Sharon White on the album Love Never Fails. She now lives in Branson, Missouri where she and her husband Roy Morris, himself a singer-songwriter, appear April thru December featuring a 2 Hr. Dinner Show in the Golden Corral Showroom ( 'the only Golden Corral in America with a Showroom' ) in Branson, Missouri singing both country, gospel, and patriotic music. Inducted into the Christian Music Hall of Fame in 2009. Nominated for Christian Country Female Vocalist of the Year for a Visionary Award by the Christian Music Hall of Fame. ↑ "Barbara Introduces Teddy Bearchild". barbarafairchild.com. Retrieved 19 October 2013. ↑ "Barbara Fairchild Biography". sing365.com. Retrieved 19 October 2013. ↑ Loftus, Johnny. "Artist Biography by Johnny Loftus". allmusic.com. Retrieved 19 October 2013. ↑ "BARBARA FAIRCHILD". barkbuilder.com. Retrieved 19 October 2013.